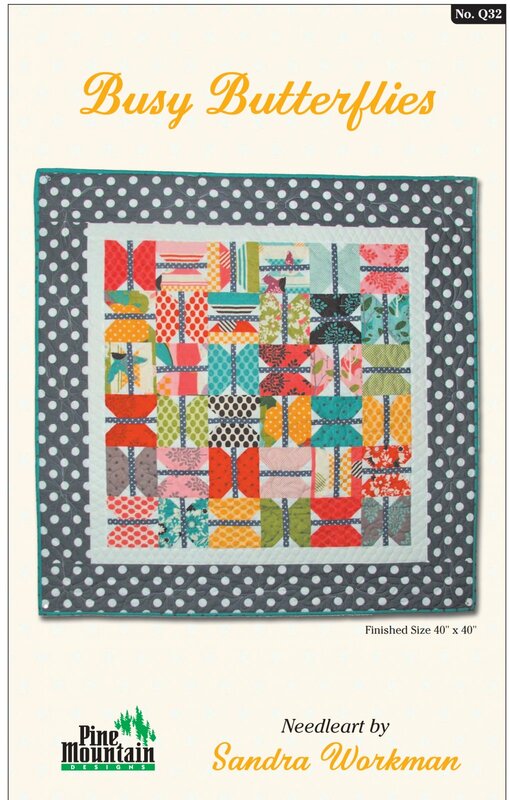 This funky fun quilt is made with a single charm pack, gray dot for the butterfly bodies and border and just a little white. With a finished size of 40" x 40" it is perfect to wrap up a little one, top a table, or brighten a wall. Includes pattern, instructions, and color photograph.